I will receive product in exchange for this post. This post is in partnership with Walt Disney Records. Please do your own research before purchasing products or using services. Your opinions and results may differ. 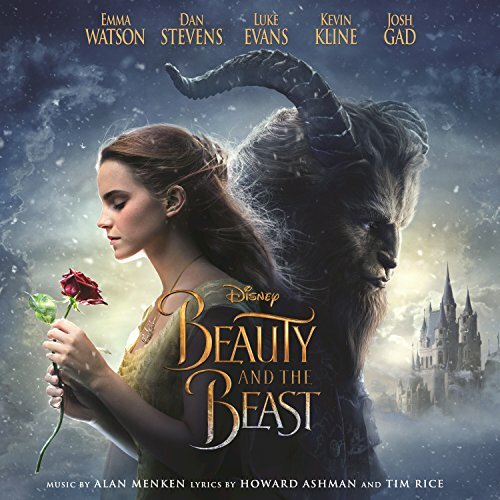 The Beauty and the Beast soundtrack will be on sale for $7.99 starting May 12th through May18th. at iTunes. Visit the “Moms” playlist on the Disney curator profile on Apple Music. One person will win a Beauty and the Beast Original Motion Picture Soundtrack CD. I saw the original movie. I have not seen this version yet. I have seen the original. I'm still looking forward to seeing the new version. My daughter and I have seen this new version of Beauty and the Beast and we really enjoyed it! I have not seen this movie, but would like to. I saw the original movie. I am looking forward to seeing this new one also. I haven't seen either one, but my daughter adores the Disney version. I saw part of the original but I've yet to see it all the way through! I have not seen this version yet either. I only saw the original movie. I'd love to listen to this! We've all seen the original Beauty and the Best but we haven't seen the new one yet. I've seen the original too many times to count with the kids, but I have not seen the new version. I've seen both versions of the movie. I loved them! I've seen both & LOVE them!! I have seen the original but not the new one. I've seen both versions and was really surprised with how good the remake was. Yes, I have seen both versions. I have only seen the original. I haven't seen the new movie yet. I have seen both and liked both too! I've only seen the original Beauty and the Beast, but I cant wait to see this one, I hear great things about it. Yes, I have seen the original! I haven't not yet watched the new one, but can't wait! Yes we have seen the original movie. I have seen the original. I have seen the original, but not this one. i have seen both versions. i love them both! I have seen the original Beauty and the Beast at least 20 times! I have seen the original. Unfortunately was not able to seethe new one in theaters. I've seen the Original Beauty & the Beast movie but not the new one. I'm not a huge fan of movie theaters so I've been wanting for it to come out to DVD. I have seen both versions several times. Beauty and the Beast is my favorite Disney story. I've seen the original, my sister would watch it non-stop when she was younger. I have yet to see the new movie but I plan to see it soon. I have seen the original Beauty and the Beast film but haven't seen the new one yet. I love the original, but I haven't had the chance to see the new one yet. I will as soon as it is released on dvd! Ive totally seen the original disney toon. I've seen the original but not the new one. I've seen both! I thought the live action was great. I saw the cartoon when I was a kid. yes i saw the original beauty and the beast. I have only seen the original. I hope I can catch the new version when it comes on Demand. I've only seen the animated version. Can't wait to see the new one! I've only seen the original version. I have viewed the live action moving picture. I have seen the original Beauty and the Beast and I will see the newest version someday soon. We have not yet seen the new Beauty and the Beast but have definitely seen the original lots of times. I have seen both the original and the new version. We have seen the original. Beauty & the Beast was my favorite animated Disney movie. Then I saw the new one with Emma Watson. It was fabulous. I have seen it and love it! I have seen both movies.